People with disabilities – those with no limbs or on wheelchairs – are not a rare sight. But we often go past them, disregarding how bad their conditions are or how they’re coping with society’s discrimination against them. But at Banteay Prieb in Kandal province, these people with disabilities – both physical and mental – are given equal opportunities to learn basic skills to regain their confidence and dignity. Agnes Alpuerto and Say Tola recently visited Bantey Prieb’s Vocational Training Center for the Disabled. Mut Seakheng has had a normal life. He worked as a blacksmith in Kampong Cham province for a living. He didn’t have much, but he was able to do whatever he wanted to do – play basketball, go for a swim, buy from the market, do chores. But in 2011, his world turned upside down. “I was working on some iron when I accidentally got electrocuted. I fell from a four-meter platform and went unconscious. When I woke up, I already lost one arm and injured the other,” Mr Seakheng recalls. 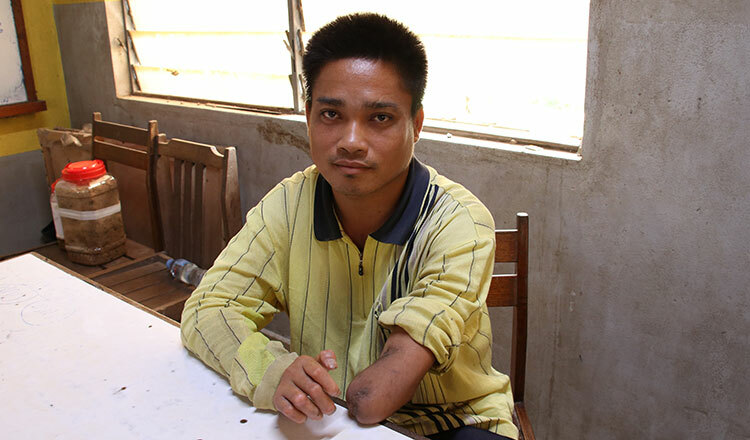 But Mr Seakheng didn’t just lose a limb, but as well as the job he depended on for so long. Now 30, Mr Seakheng found a new way to live – happily and productively. 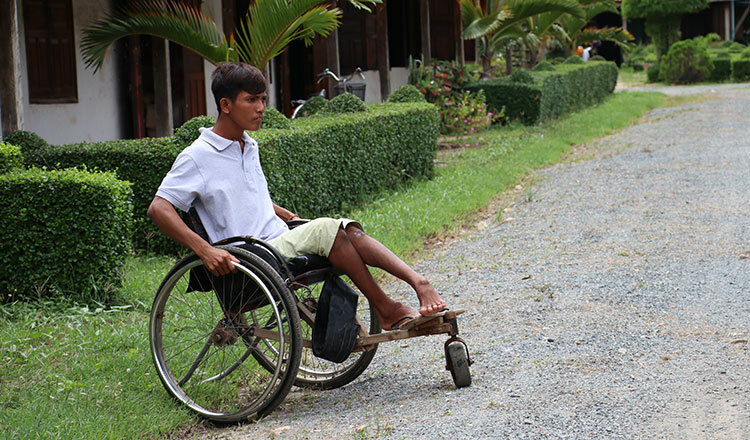 He is one of the 90 students in Banteay Prieb, a center that provides complementary education to people with physical disabilities and mental challenges. Mr Seakheng is currently on his sixth month in the center, studying agriculture along with eight other students who also have physical impairments. They sit inside a small classroom, eagerly listening as their teacher discusses the specific vaccines for pigs and poultry. In another classroom just a few meters away from Mr Seakheng’s class, more than a dozen people are studying how to repair vehicle engines and machineries. Two other buildings, near the main gate of the center, are divided into chambers. Each room holds different classes – electronics, phone repairs, hair and make-up, sewing, wheelchair-making and special education. Wearing brown long sleeves, Sem Savorn gives intent focus on his TV schematic diagram. He carefully draws lines and points with his pencil, with a textbook on his side. He doesn’t mind the difficulty of understanding how a television motherboard works, as much as he doesn’t make it a big deal that he’s sitting on a wheelchair. “I was involved in a traffic accident two years ago. My legs were badly damaged so I wasn’t able to walk since then. 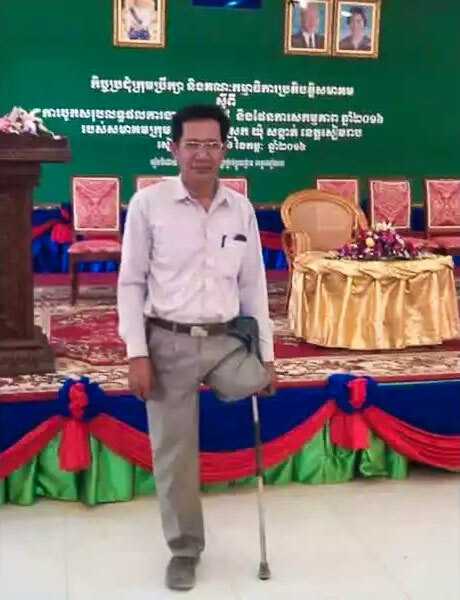 I now have to stay on a wheelchair most of the time,” Mr Savorn explains, hoping that the skills he will be getting from Banteay Prieb will be his ticket to finding a job or putting up his own electronics shop after his one-year training ends. Mr Seakheng and Mr Savorn are just two of the dozens of students studying and living at Banteay Prieb. The center, which literally means “center of dove”, was initiated by the Jesuit Refugee Service in 1991, a year after the United Nations was called for a major role to bring peace to Cambodia, ending years of civil war. The area, used to be a Khmer Rouge prison and a killing site, was transformed into a center of peace and hope for people who were affected by the conflicts. 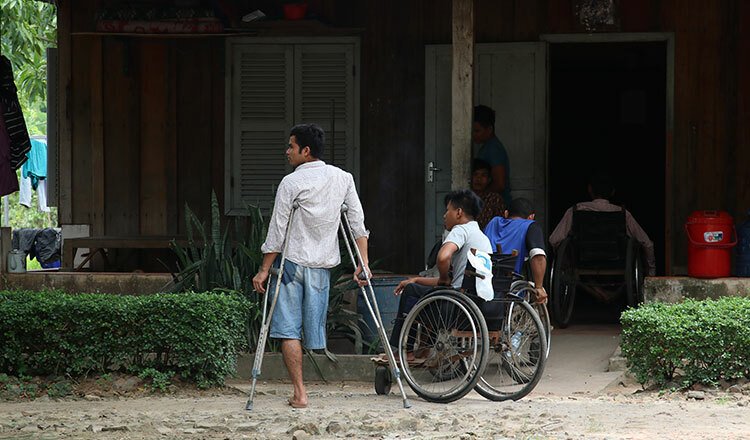 Members of the Jesuit Service Cambodia and the center volunteers tour around the country to recruit disabled people and give them a new lease of life. In its early years, the center welcomed victims of landmines and polio. But currently, most of the students’ disabilities are caused by traffic and work accidents. They are given trainings on various skills that would help them reintegrate into the community. Most classes last for one whole year, from January to December. Make-up classes last for only six months while special education programmes go on for two years. All students are housed inside the Banteay Prieb compound. Khmer traditional houses are lined up on the left side of the six-hectare land. Each house has at most 10 residents. The students, aged 18 and up, manage their own homes, cook their own food, wash their own clothes and manage the money given to them by the center. They wake up early in the morning to go to a nearby market, prepare their meals for the day and go to their classes at 8:30. They take a two-hour lunch break starting at 11, before going back to their lectures and workshops in the afternoon. “They live a normal life here. We give them the responsibility to take care of their houses and budget their expenses. In a way, we are training them to be independent, aside from giving them the skills they can use to build new lives after their yearlong stay in the center,” says Fr Oh-Chang Kwon, the center’s coordinator. Even after the students leave Banteay Prieb, they are continuously monitored. Staff conduct visits to graduates and check on their conditions. If needed, they are provided with houses and wells, medical care and other necessities. After recruitment, people who get admitted to the center are free to choose which class they think they can best perform at. However, the center also guides them, offering suggestions on the type of work that suits their capabilities. All machineries and materials needed by the students in their workshops are given by the center. 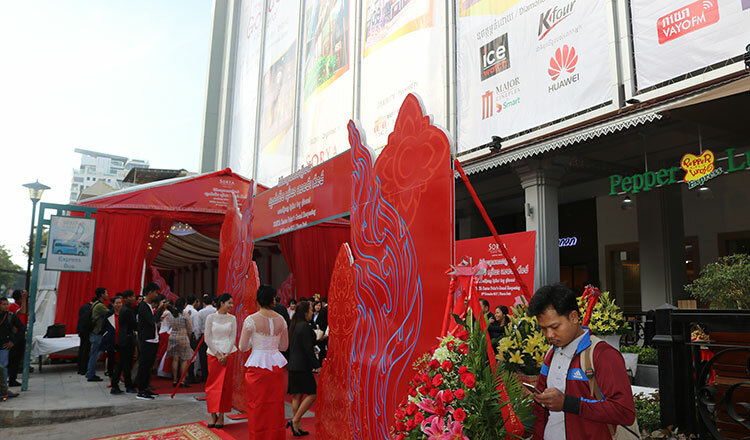 “Even the phones for repair and cloth for sewing training are provided. They don’t have to pay anything at all. They just need to show determination that they want to learn, and that they want to help themselves improve,” explains Christoff Hoffman, an 18-year-old German volunteer at the center. As their learnings progress, the students get to repair the center’s own machineries or doll up the staff, volunteers and fellow students during occasions. They also sew their own clothes and raise their own cattle, pigs and chickens. Everyone, regardless of the training they’re in, also joins the ecology programme. For the students in the special education class, the two-year training includes personal hygiene, independence, cooking, socialisation and literacy. There are currently 14 students under the programme, most of them suffering from intellectual disability and autism. 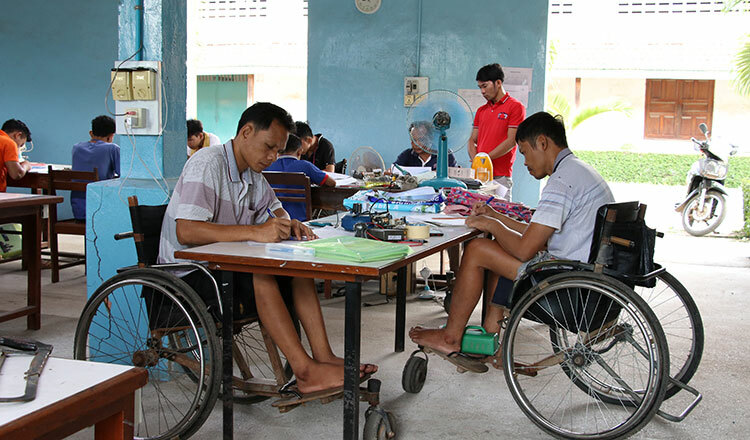 To ensure that students, especially those who have difficulty walking, are comfortable in their homes and classes, Banteay Prieb also has a workshop for wheelchairs. Assigned students and staff create specially designed wheelchairs for each student, depending on his disability and physical strengths. But aside from the classes on Mondays to Fridays, the students get to enjoy weekends playing basketball, holding talent shows or going out of the center for educational trips. They get to visit the Royal Palace, Sihanoukville beaches, museums, zoos and other sites for fun and learning. “For more than two decades, the center has been a venue for these people – often neglected by the society because of their disabilities – to learn things that they can use not just to earn money, but to be normal members of the society. We have witnessed so much improvements in terms of the mental health of our students. 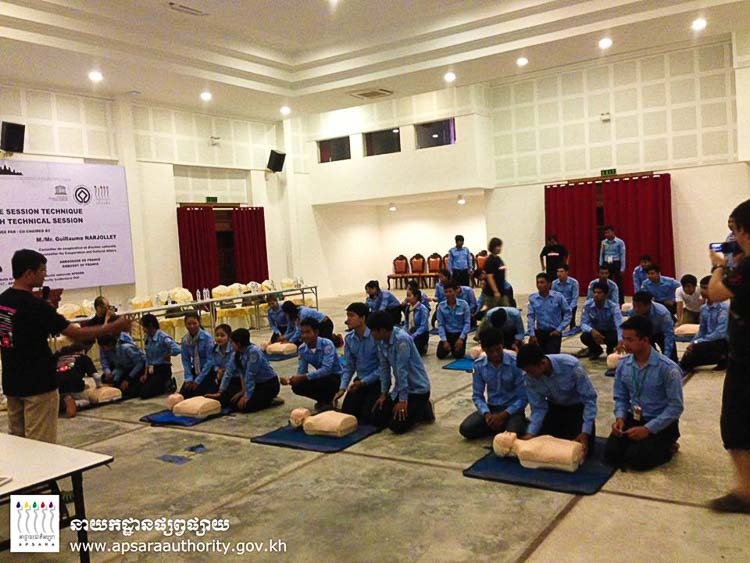 As they gain skills and learn things, they also develop confidence and trust,” says Chrek Vuthda, who has been at the center since 1991. Mr Vuthda now serves as the center’s principal, overseeing students’ learning and welfare. This coming December, Banteay Prieb will be saying goodbye to its 31st batch – 90 students who, despite how diseases and circumstances disabled some parts of their bodies, strived hard to make use of what’s left in them and use their strengths to win through life. “As long as I try hard, I know I will benefit from this training. I believe no one else can help me better but myself. So, I will try my best to gain skills in electronics and use it to improve my life,” says Mr Savorn with hopeful eyes and a determined voice, before putting his focus back onto his TV diagram. 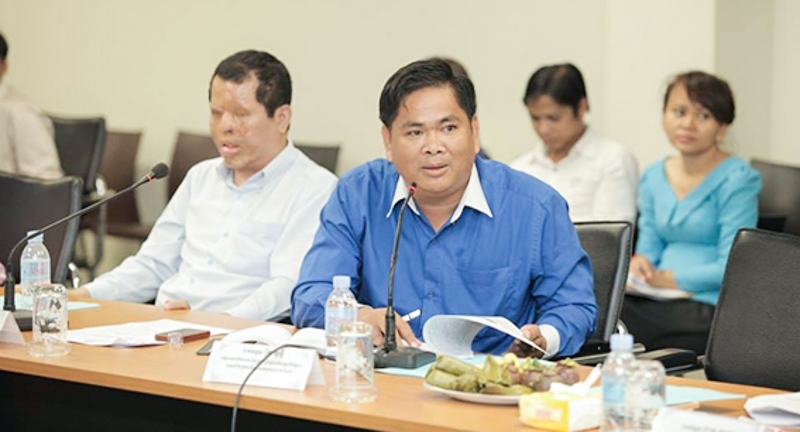 Ngin Saorath, executive director of the Cambodian Disabled People’s Organization.